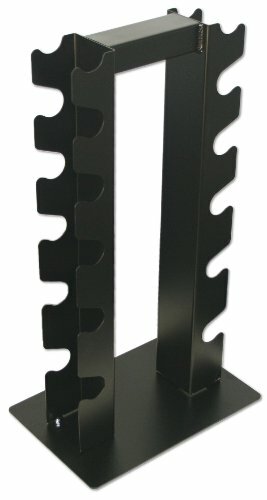 The DF5100 Vertical Dumbbell Rack by Deltech Fitness is ideal for a 5-30 lb. set of dumbbells. This rack fits in a small space to maximize your workout area. This Rack works Great with smaller Dumbbells. Note: Does not fit neoprene dumbbells. Weights not included.